You guide and dirver will meet you at Chengdu shuangliu airport.and transfer to your Chengdu city hotel. 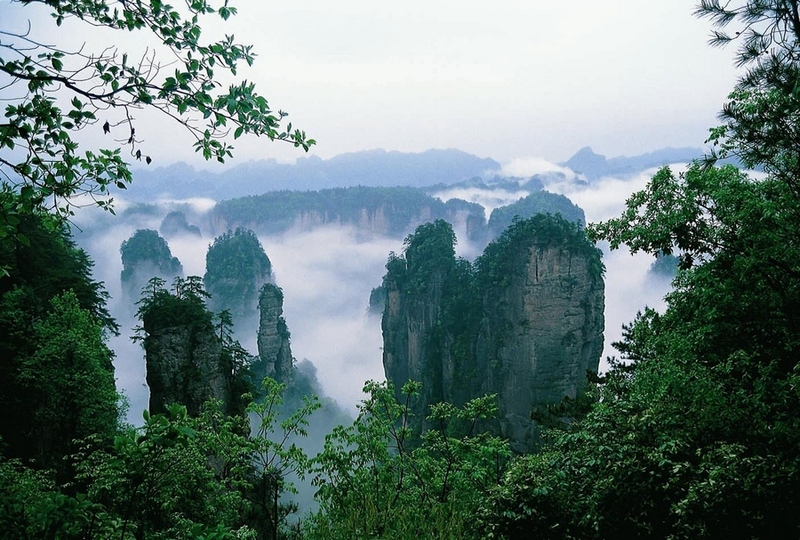 Arrived in Zhangjiajie,You will flight into zhangjiajie in the evening,Your Driver and Guide will meet you at zhangjiajie airport, 50 minutes drive to Zhangjiajie wulingyuan area hotel. 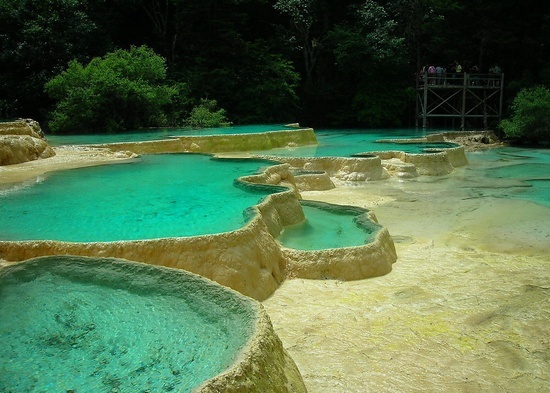 After breakfast in the morning,1 hour dirve to Zhangjiajie Grand Canyon,It is situated in Sanguansi, cili county Zhangjiajie city, 10 km east to Wulingyuan world natural heritage site, which is a new discovery of scenic site. When driving close to the entrance a expanse of bamboo disappear, you find a deeply lower Valley with cutting-edge cliffs.a hill path cutting through narrow crevice leads vertically to the bottom of the valley, the area is about 60 square km.in the afternoon, visit Dragon King Cave is located one the east direction of Wulingyuan Scenic Area with a 10-km distance. 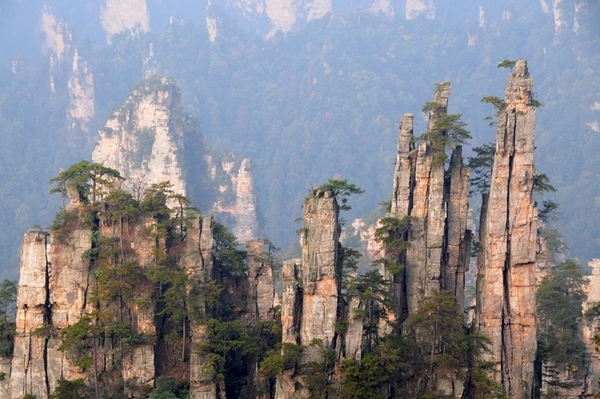 It is the code scenic spot of Zhangjiajie Scenic Area. With its unique scenes, Dragon King Cave is reputed as "the most featuring karst cave in the world". 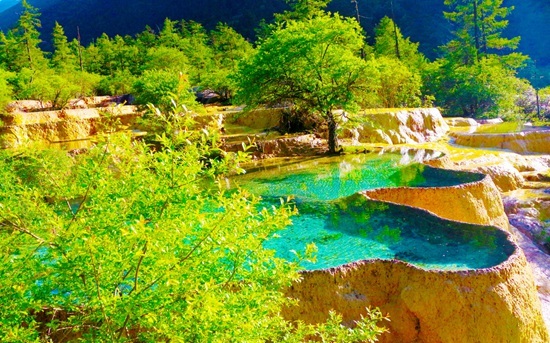 Ranking as the oldest and largest karst cave, it is a potential tourism spot for people to exploring, and we will spend 2 hours in Tujia Folk Custom Park,it is a large-scale cultural tourist attraction,.and back to your zhangjiajie city hotel. In the evening you can make a choice for zhangjiajie city Evening show- Tianmen Fox Fairy. 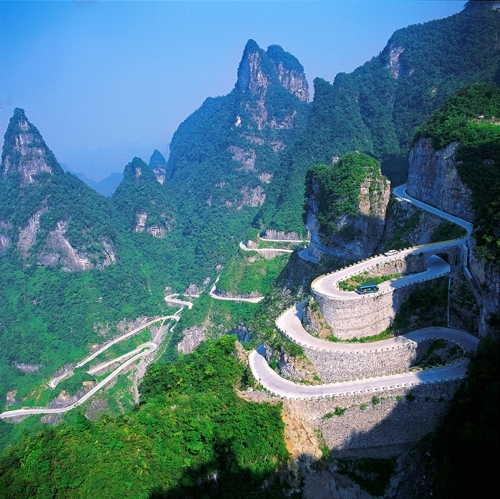 After breakfast,10 minutes Drive to Zhangjiajie Tianmen mountain.,and visit Tianmen mountain, you will take the longest cable car which is 7.5 KM,up to the mountain, take a walk on the suspension pathway and glass pathway, visit Tianmen gate. After lunch in zhangjiajie city ,then 4 hours dirve to Fenghuang city. You can enjoy nice night view of fenghuang town. 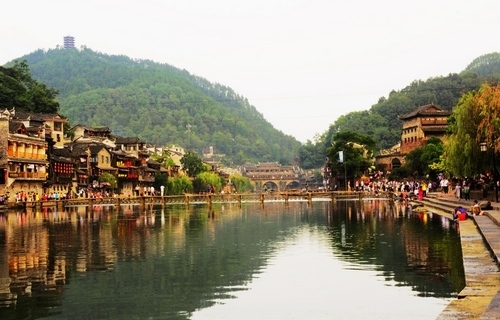 After breakfast and visiting the Fenghuang city in the morning,to see the daily life of miao people, and discover the interesting of the local culture with your guide.and you will be lunch in fenghuang town,only with your dirver and 6 hours dirve to Changsha city,our dirve will help you check in your hotel. After breakfast in the morning, check out your hotel by yourself. you will be transferred to the airport according to your flight to Guangzhou.